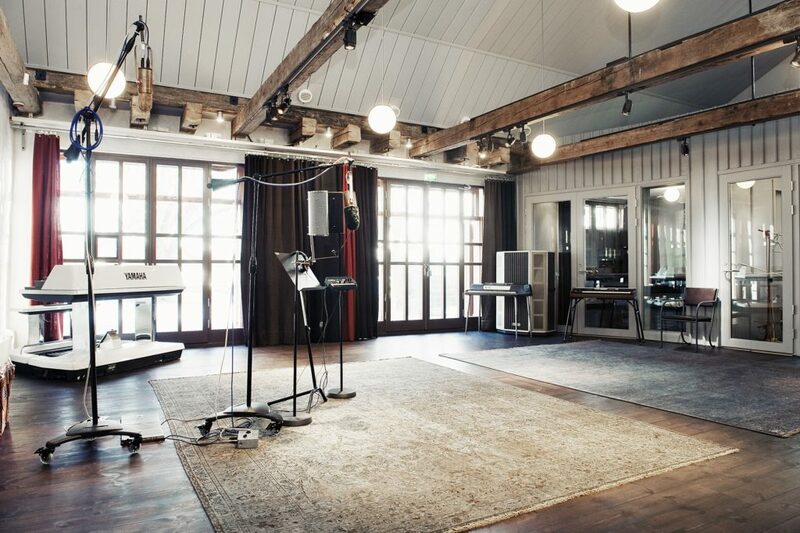 A studio founded by ABBA’s Benny Andersson, Riksmixningsverket, is located in Stockholm’s Skeppsholmen, and is managed by Linn Fijal. 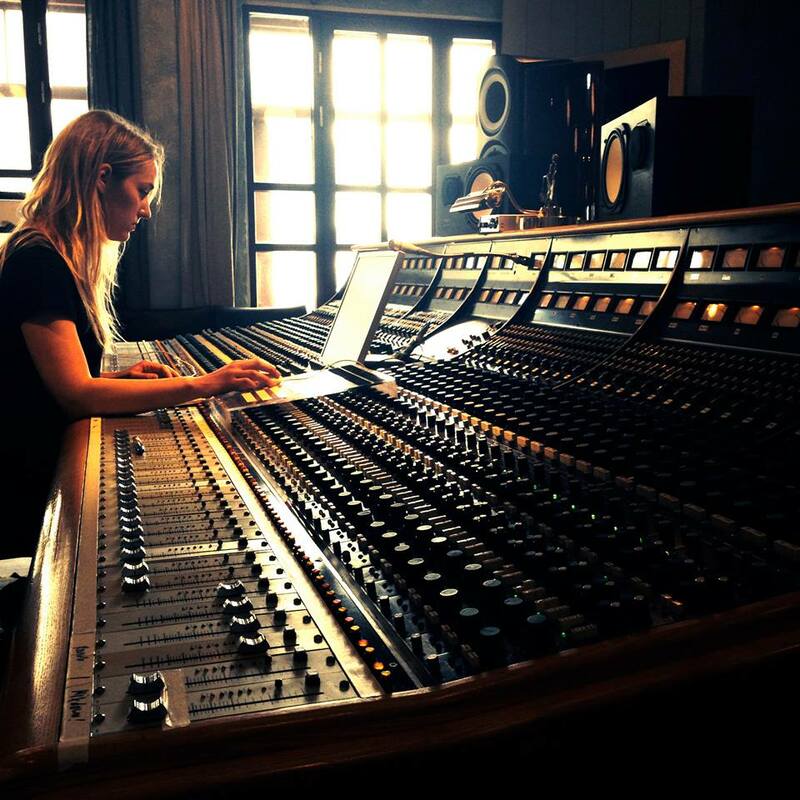 I went by the studio recently to chat with her about what goes on at there and what it’s like for her to be both Studio Manager and engineer at the place. Hi Linn. Thanks for having me over. Can you tell me briefly about your background in music and how you got started in audio? I grew up in the countryside, where there wasn’t much to do, so we played music a lot. I got my first violin at the age of three, and joined a rock band when I was fourteen. When you’re in that kind of situation, someone always has to handle the technical stuff, like working the PA in the rehearsing room; I became that person. Our drummer’s parents were music teachers, and had a home studio that we ended up using, which got me into working with audio. Moving on from that, I studied audio at university, and graduated with a Bachelor’s in Audio Technology in 2010 from Luleå University of Technology. During my school years, I did internships at companies like Sweden’s Television, which prepared me for real-word engineering scenarios. It wasn’t so much about theory or music production as much as it was about learning the technical and mechanical stuff, like how to fix stuff when it breaks, etc. 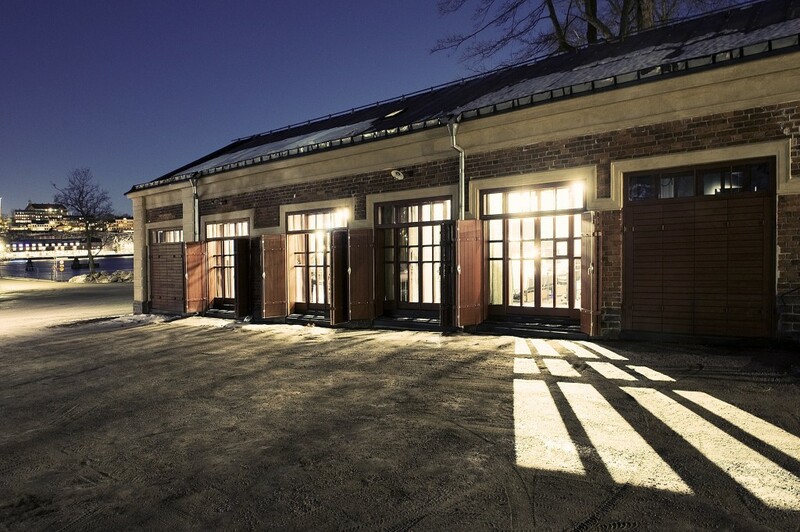 How did you end up moving from school and internships to running Riksmixningsverket? I happened to be at a mastering studio, and bumped into Ludvig Andersson, Benny Andersson’s son, at a coffee machine. He said that his father was opening a new studio, and was looking for someone to manage it. He gave me an email address to contact him for the job, if I was interested. My first thought was that it had to be a joke. Even if it was true, why would they hire someone straight out of school when they could have easily found an experienced engineer? But I didn’t want to ignore it, so I sent out the email, and they responded, asking me to come in for an interview. But when I Googled the address, I couldn’t find it anywhere, and on the day of the interview, I had trouble locating the exact building, despite following the instructions. It all felt a bit sketchy, so I called my mom, gave her the address, and told her to call the police if she didn’t hear from me in two hours (laughs). When finally I showed up at the address, the building was empty and had been falling apart. But Benny opened the door when I knocked, and it was the shock of my life. I ended up getting hired soon after that, which was in 2010. 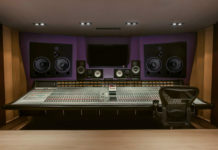 Seeing as you were hired when the studio was being built, can you tell me about the process of choosing gear for the place? What was your role in that? Firstly, I had no experience when I got here. I was willing to work hard, but I had a lot of support from Benny and his colleagues, such as Bernard Löhr, who’s worked with Benny for 30+ years, and currently works at his other studio, Mono Music. 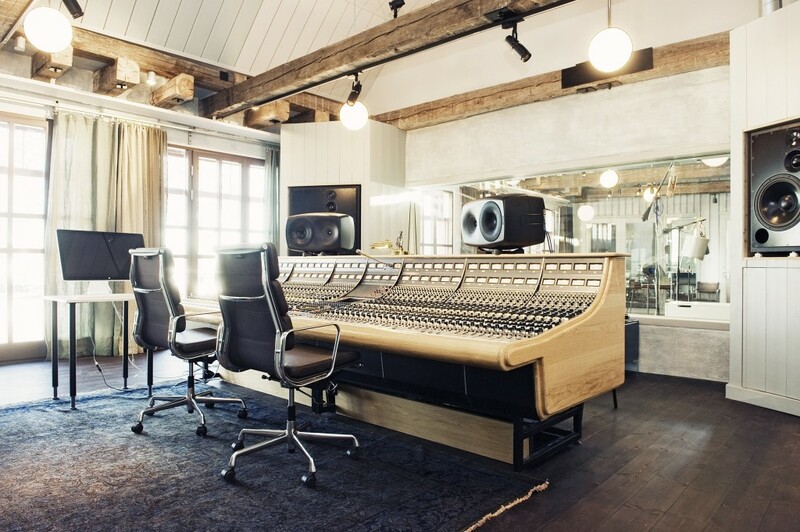 The Neve 8068 desk was already chosen, as well as the big ATC SCM 300 speakers. My job was to call other engineers and musicians that I trusted and ask them about their favorite pieces of gear. I spent two months putting together a list of vintage equipment. Finding everything was hard. You either had to search for strange audio shops in odd places, or buy the gear online. Since this is meant to be a commercial studio, it had to feel at home for a lot of people, which means it needed a lot of different things, so I had to be thorough in my search, even though Benny had a lot of gear of his own that we were able start with. Even today, people still call me and offer their products for us to demo. For example, Deluxe Music is an audio store in Stockholm that I’m friendly with, and we get calls from them. If I like what I they tell me about their new gear, I’ll try it, and buy it if I like it. So accumulating gear is still an ongoing process. I do have a fancy for hand-built Swedish microphones, so I’m always on the watch for those. We have a quite a few uncommon mics here. How were you able to adjust to the work load and clientele that comes through Riksmixningsverket when you were hired fresh out of school? I had to learn the hard way. When someone throws you in a pool, you either sink or swim. I worked non-stop for the first two years; this place was my entire life. Thankfully, I wasn’t on my own. I could always call people if I got into trouble. Also, the first two clients we worked with brought along their own engineers, which was great for me. The Hives was our first big client, and they brought Michael Ilbert, who was been mixing for Max Martin. Max actually owned this Neve desk before us! So Michael already knew the desk, which was great, and I called him anytime I got stuck with it. One of the best pieces of advice I’ve received was from one of my bosses during my time interning at SVT. He said that you don’t have to learn everything all at once, on your own. It’s better to have a group of people that you trust, whom you can call when you need help with something. I’ve always lived by that when it comes to being an audio engineer. Given that you were thrust into an environment of experienced musicians and expensive equipment right after school, what was the biggest mistake you made during that time whilst working with clients? I had one during my first summer here. We worked from 9am to 11pm without taking a break. And I had to edit things afterwards. The producer told me to clear the Pro Tools sessions of files we didn’t need. As you might be able to guess, I deleted important stuff and ruined some of their songs. One of them lost most of its sounds. So I put the hard-drive in a taxi and took it a computer technician that I trusted and was like “Please get it back!“. Thankfully, he did…..and then the band ended up scrapping those songs anyway (laughs). We’re still friends though, and they’ve been back to record other projects since then. What kind of clients do you get today? Also, how do interact with them during a session? Do you typically take charge, or do you let them make the executive decisions? We get different things. The type of music that’s made here is usually the type that needs a room, and the sound of a room. So jazz projects are more common than rap ones. Sometimes we get film score work here, and have to pack a small orchestra into the live room. Those are fun. You have to sense what’s necessary for each client on an individual basis. It’s not my record, and I work for the band, so if the band wants to use specific gear, then I do that, though I might share my opinion if I feel it’s appropriate. On the other hand, if they play me demos or reference material, and ask me to help them get there, then we talk about it. I do have the confidence to say that I can help them achieve their sound if we talk about it. I’m looking into the live room at the moment, and it looks quite big, with wooden floors. 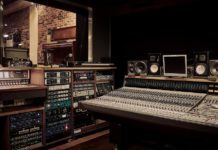 The live room is usually what dictates the sound of a studio, aside from the mixing console and microphones. Can you tell me what makes that space unique? It’s a big room, full of windows, with a soft, woody feel. That’s mainly because of the wooden floor, which is floating floor that moves, like a big membrane. It rests on cushions that makes it float, which works both to isolate the room and have an impact on the acoustics. Also, none of the angles in our ceilings are the same, with reflecting panels built in. Tell me about the speakers you have here. I see three pairs. Our biggest speakers are the ATC SCM 300s. They require a lot of volume to work with, so I don’t use them too much. But they’re good for playing back your recordings when you want to get pumped and feel excited about them. Our main tracking speakers are the TAD Reference One, a Japanese brand. They were designed by Andrew Jones, who works at Pioneer. They’re really transparent and respond to transients very fast, which is helpful for hearing attack and release times on compressors. It’s a rookie mistake to record something on bad speakers, and then later when you compress it and add high-end, you realize that it’s distorting. It’s easy to do that when you’re recording on bad speakers. That doesn’t happen here, because we have the TADs. We also have a pair of Yamaha NS-10s, which are my mixing speakers. I believe that the mid-range is what counts the most when I’m mixing. When you get that right, the music translates well to other speakers. I can work for quite a while with them without getting tired. I’ve tried Adams, Genelecs and a bunch of others, but I keep coming back to the NS-10s. 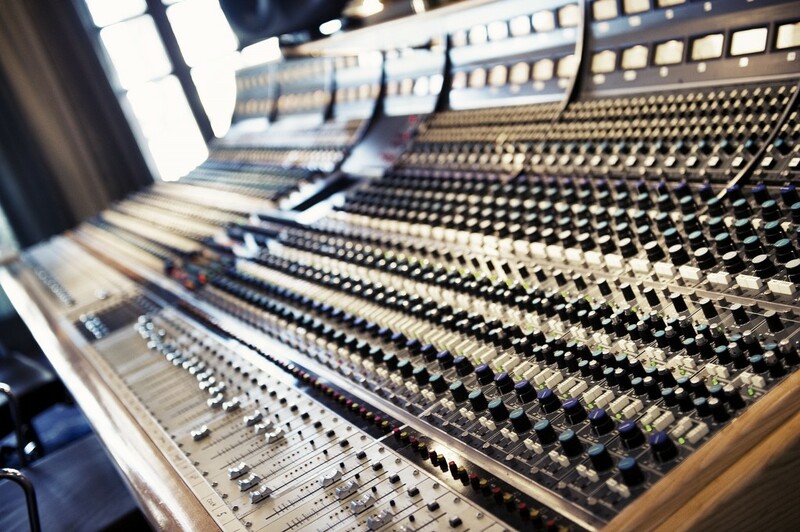 Your Neve 8068 looks quite fantastic. Having worked on it for some years, what are your thoughts on it? It has a soft openness to high frequencies that I haven’t heard from any other desk. It also sounds fat if you drive it when recording, and it distorts in a nice way. I try to adapt my workflow with the desk to whatever project I’m working with. You can’t record an indie rock band the same way you would a jazz band. 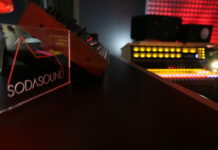 With a rock band, I might allow myself to be creative with the desk by saturating, EQing, compressing and summing stuff. That way, by the time it’s in Pro Tools, I can finalize the mix with plugins. If it’s a jazz band however, I’ll record it super clean. If a band doesn’t know what sound they want, I’ll record most of it clean, and send some mics to the desk for processing, which they could use later in the mix if they want. Tell me about the gear you turn to during recording and mixing. Are plugins even necessary when you have such a generous collection of analog stuff? At the recording stage, I never use plugins because of latency issues. It’s easier to use analog stuff when recording, and it offers a lot more texture than plugins. The LA2As are my favorites. We have two that I use in stereo. I like the dbx 160 also. It’s versatile, and is good for making things sound edgy, so I use it on drums a lot, as well as vocals. I’m the type of person who falls in love with a piece of gear, and want to try it on everything (laughs). I’m not loyal when it comes to gear. We also have a Looptrotter Monster Compressor. I like it a lot, and used to use it on the master buss, to the point where I don’t put anything on the master buss anymore. Riksmixningsverket offers its clients tape recording, which isn’t common in most studios. Can you tell me what you think the biggest benefits and challenges of tape are? The tape compression is the biggest upside. Thankfully, today’s technology allows you get that tape sound without worrying about the downsides that you had to deal with before, like noise and tricky editing, by dumping the tape recording straight into Pro Tools, which is what I do. But if you’re going to only record to tape, without using Pro Tools, I think one of the biggest challenges is the fact that you can’t comp things together in an easy manner, and you can’t record an infinite amount of takes at one time, like in Pro Tools. The tape only lasts 15-30 minutes, so you’d have to get more tape to keep going, which is costly. What are some of the experimental techniques you use when recording, be it with drums, piano or anything else? Micing is the second most important thing in a recording, after the musician’s themselves. You can mic a sound source to capture it’s natural sound, or you can mic it in an unconventional way for sound design purposes. An example would be to put a microphone under a piano, and run it into different guitar amps, or even a Leslie cabinet, or an old radio. With drums, I’ll use multiple room mics and split things up into compression chains. I might run some drum mics into an amp also. I have my basics that I generally stick to when it comes to recording techniques, and then I’ll work with intuition for experimental stuff. What would you say the biggest challenge of running a studio? To keep everyone happy. Benny already has an established network of contacts. So we didn’t start Riksmixningsverket from nothing. Benny would also bring me places to meet new people and I would talk to them about the studio, which attracted more clients. So I’ve never had the struggle of other studios. My biggest thing is to keep the place working and in good condition. The owners do their fair share of getting people in the door.